It is obvious that they made a nest in your absence. Try to spray some insecticide before you leave. Anyway, if you got all that in a small apartment, wait and see what Godzilla may hold for you as a surprise… And check for black scorpions, make sure that they are dead before you pick them up!!!! They are great at acting dead. I always check my slippers before putting them on in the morning just in case a scorpion has taken up residence…I’m a little paranoid about them actually. The wasps we won’t be able to take care of till the nest wakes up in spring I think; I worried that by heating the apartment it might come to life, but fortunately that didn’t happen! So how to get rid of them all buzzing against the windows? 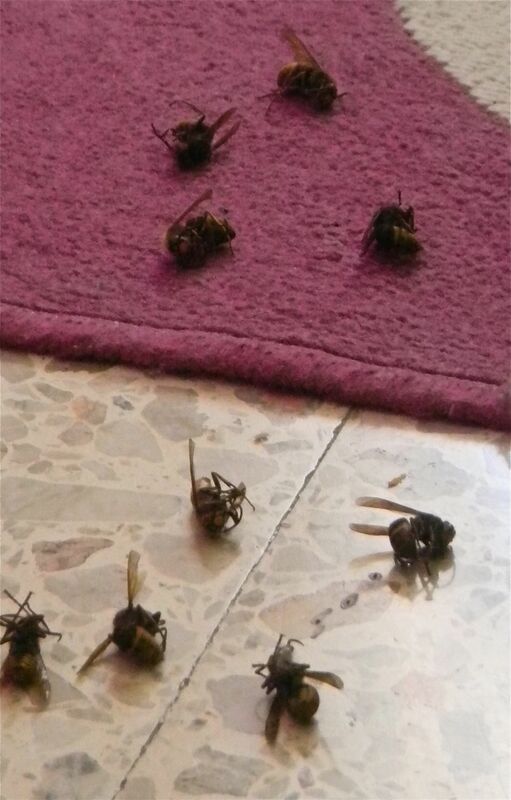 Aha, rather than a RAID massacre, I vacuumed them all up, no mercy. 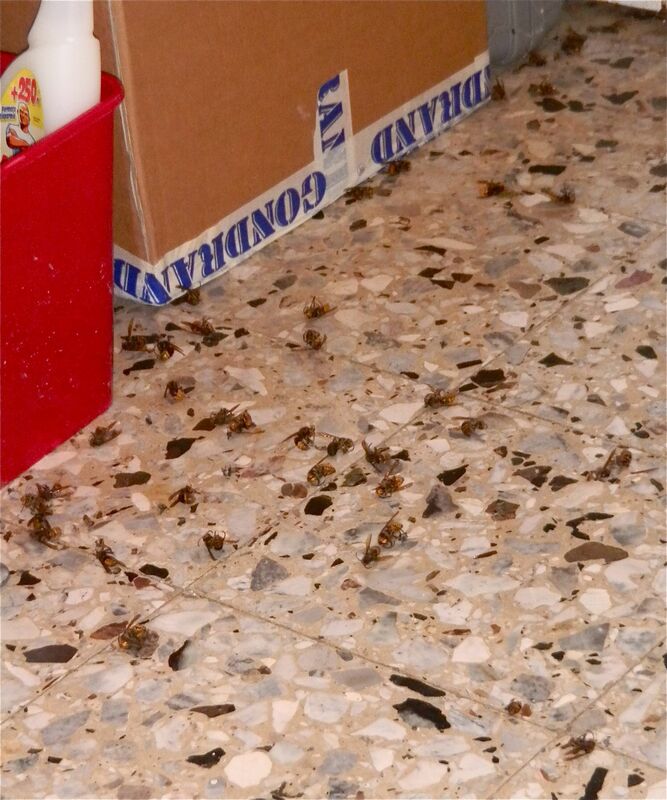 May not have been quite so cavalier if they were wasps though…. Much more eco-friendly to vacuum them in fact. Easier on the lungs too! How weird! I have never found anything like this at our place – thank heaven.